The phrase 'big pharma' can cover a multitude of sins, but do drug companies deserve their often poor public reputation and is it a generational or endemic problem? 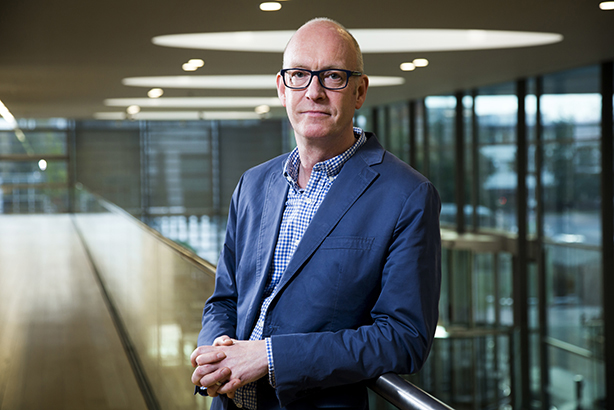 PRWeek spoke to Roche UK communications lead Keith Jordan. The discovery of new medicines is an emotive topic that readily sparks public debate and is rarely out of the health news. But the cost of potential new treatments, and whether the NHS is prepared to pay for them, are issues that often set the pharmaceutical industry against public health providers. Meanwhile, a lay public stands in the middle and demands access to the most effective treatments from the NHS while castigating drug companies for the price of their products. It's a conundrum with which the recently combined public affairs, PR, communications and access team at Swiss multinational Roche wrestles on a daily basis. But, under the leadership of policy, access and communications director Keith Jordan, the business has sought to reposition itself; seeking a more collaborative relationship with the NHS and adopting innovative techniques to educate the public and engage the media – all within the confines of a highly regulated environment governing what pharma companies can and can’t say. Jordan has a trustworthy face – and his soft, clear, Geordie accent does his message no harm either. We are sitting, with his head of PR, David Flynn, in a spacious meeting room on a sunny morning in the vast complex Roche inhabits on the outskirts of Welwyn Garden City. 'Big pharma' has a reputation problem, Jordan agrees, and he thinks it can do better; but part of the problem is that the industry is fundamentally misunderstood. "Even the fact you call it 'big pharma' – and we sometimes call it [that too] – just gives an impression of a big, unwieldy thing, and that everyone is in the same pot," he says. "That causes us a challenge when we're all lumped in together and I think that the industry isn't understood by the public either." Most people take medicines at some point, but few understand the level of research and investment needed to bring them to market. They only perceive the commercial face of drug companies. Jordan says: "It takes at least 10 years to bring a medicine to market and the amount of research, development and disappointment for scientists working on those products is huge. That doesn't always come across in the way we tell the story." Roche invests about £400m a year in the UK through clinical trials – money that provides valuable income for the hospitals where the trials are conducted. Jordan says: "That story and that element of our work are often missed by the public, so we can have a reputation issue, but sometimes we can manage it much better." So how does Roche, which has developed drug treatments for diseases from cancer to heart disease, counter public perceptions that the NHS pays too much for much for its medicines? The company is a global behemoth, operating in nearly 130 countries with 93,000 staff – 2,200 of whom are in the UK – and with global sales during the last financial year of 53.3bn Swiss francs (£41.6bn). There have been times in its history when the media was strongly against Roche, Jordan admits, and he agrees that it needs to articulate the issues around price more effectively. He says the business must help the public understand that the price the NHS is prepared to pay for new drugs – a threshold known as 'cost per QALY', which relates to a product's efficacy – has remained static. "The NHS' willingness to pay for a medicine hasn’t changed in 20 years, irrespective of inflation, innovation and changes in science." During the 10-year research journey, Roche loses "hundreds of medicines" along the way, he says. "Every couple of days we might get a trial that has failed. It hasn't met its end point, so it's not effective. It's a medicine we have invested millions of pounds in, but the public don’t see that." And even if the product is proved effective, by that point the clock is already ticking on a 25-year patent, common for most drugs. Jordan adds: "The first 10 years is development, so we only have 15 years [to sell the drug on an exclusive, proprietary basis] before other people can make it. There are a number of challenges around telling that story in a concise and simple way that makes sense." A third, rarely understood, complexity relating to price is the Pharmaceutical Pricing Regulation Scheme, or PPRS cap, in which the pharma industry agrees the amount of spend on a drug with the government every five years. If the spend rises above the agreed level during that period, the industry rebates the government. These are very complicated and technical issues, which can make explaining them to a lay public with an increasingly short attention span "really difficult", Jordan admits. "We have a real challenge in explaining these things, but the way we've started to do that in the past couple of years is to engage patient groups, while David's team goes directly to journalists and briefs them about some of these elements." An example is a piece of public-affairs work Roche launched in November in partnership with social media and entertainment outlet LADbible, which has already reached more than four million people via Instagram. The campaign focuses on people aged 18-30 with haemophilia and seeks to engage them with Roche and draw out their stories, as well as getting them to think about how they can manage their condition better. It's a surprising choice of media partner for a traditionally cautious pharma business, and not without its challenges; however, it also speaks of a new approach to the organisation's comms. The NHS is one of the company's biggest single stakeholders and managing that relationship is critical for many reasons, including helping the public to understand the industry. At least twice in the past two years, a quote from Roche has been included in an NHS England press release. Jordan says: "That was helpful for us because it ensured that the message was clear in their statement as well as our quote. It really starts to flip that balance from a transactional relationship to a more collaborative relationship with the NHS. 'You don’t want to look bad, we don't want to look bad, so let's try and work together.'" By getting his PR team to work with their opposite numbers in NHS England, Jordan hopes to build up Roche's relationship with the body. "We're starting to see a change [in the relationship], but we still need to get engaged more." It's worth noting that, under Jordan, the various (sometimes disparate) elements of its 40-strong comms operation, which includes market access, have become more joined-up since being brought together under a single directorate in January 2018. He thinks this greatly enhances Roche’s ability to work with the NHS and other stakeholders. Jordan says: "What we found [previously] was that there was a bit of disconnect between trying to drive for access for patients on one side and then discussing policy, changes in the environment, lobbying and PR activities on the other side. We've joined these together so you have a much more aligned team which, for example, can leverage its PR activities better than before. We're probably the first of the [Roche] European affiliates to go down the route of joining policy and communications with access and it really makes sense in the UK." The result is more impactful comms when the organisation is trying to raise issues about access to medicines for patients. What is does not mean, however, is that the company's relationship with key stakeholders, such as the NHS, is plain sailing. The NHS is the UK's most-loved institution, with last year's celebrations marking the 70th anniversary of its foundation only serving to cement its hero status in the collective consciousness. Ironically, this positive reputation makes Roche's relationship with the NHS more difficult on some occasions – particularly when it is arguing for greater patient access to the latest drugs. Jordan says: "Everyone loves the NHS. It’s free at the point of access, but our outcomes aren’t as good, in some areas, as other countries and lots of people don’t realise it." While his industry knowledge would enable him to demand the best outcomes for him and his family, Jordan is acutely aware that the wider public does not enjoy that level of specialism. "It's our duty as an industry to drive the best possible outcomes for patients," he says. "They deserve it and they're paying for it through the NHS, so let's try to make everything work together more effectively; NHS and industry, driving the best for patients." Jordan believes there is still some way to go before that crucial relationship comes to fruition, however. "We have to think about how we operate in the UK. But I think the NHS also has to be flexible and decide how they are going to drive better outcomes for patients." Healthcare and new treatments for diseases are highly emotive issues because they affect people's lives. It is no surprise, therefore, that mainstream national media outlets, as well as a host of specialist media, fill their pages or broadcast slots with health stories. It is a simple sell for editors because the issues affect large swathes of the public. As to whether the pharma industry is treated fairly by non-specialist media, Jordan accepts that coverage will not always be positive. "One day pharma is in the press as the bad boys and the next day it's the NHS. But when it comes to innovations or new treatments for diseases, the media has a very positive way of playing that out, sometimes." Like all the relationships formed by the combined comms directorate – with stakeholders, politicians and the public – Roche's relationship with the media is a work in progress. Jordan knows that there is no point in Roche bothering to engage only specialist media, which already understand the pharma landscape. The real victory is in winning the hearts and minds of the public via mainstream outlets. He says: "Non-specialist media is massively important to us because of the impact it can have on our reputation, as well as how we do business and how we’re perceived by the public." One of his biggest challenges with the media is translating the complexity of Roche’s messages into something easily understood by a journalist and their readers. "One area where we need to work more tightly with journalists is in trying to explain the technical element about why it's not just about the price of our medicines," says Jordan. 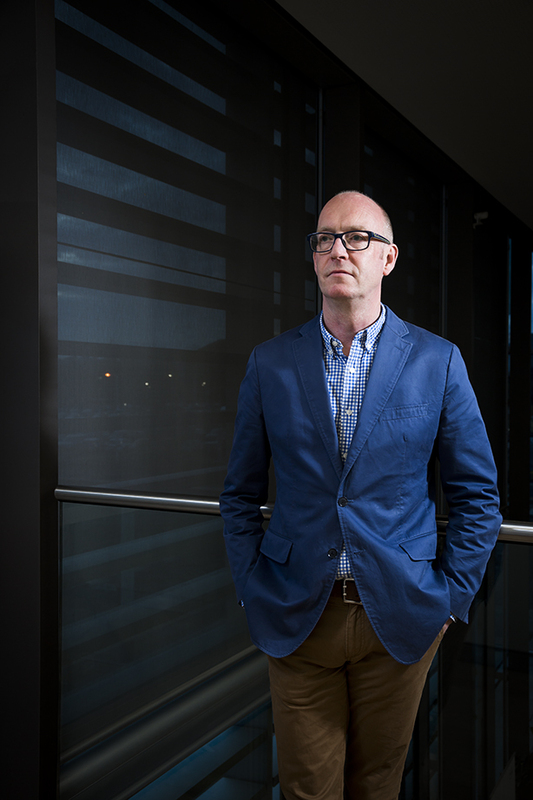 "I think that analysis of how cost-effectiveness is calculated doesn't come out very well." It's not just about the price; it's also the development, outcomes and side-effects, he argues – although one suspects Jordan has been frustrated many times by media outlets that want a simple explanation when one does not necessarily exist. "All that modelling and cost-effectiveness is complex," he says, adding that under the joined-up directorate, the PR team has managed to get closer to the detail of how those calculations are made. Oscar Wilde once remarked that the only thing worse than being talked about was not being talked about, so what is Roche’s strategy? Jordan takes the view that if you want to be part of the debate and drive the thinking around pharma issues, there is no point hiding your light under a bushel. "We do operate in a highly regulated environment – we can't talk about products unless it's part of a specific media release, and we certainly can’t promote to the public – so we have to be innovative in the way we work with the media." One example of this approach is a piece of research Roche launched to the media in late November, called 'NHS100'. The report surveyed 5,000 16- to 24-year-olds about a raft of innovations, from personalised treatments to online healthcare, and looks forward 30 years to the centenary of the NHS to ask what the young people of today will want from the NHS of the future. Like its haemophilia campaign with LADbible, one gets a sense that the idea is to get the public to demand more in terms of new treatments, rather than Roche and other pharma companies being the sole advocates for greater market access. A surprising finding of the survey is that the pharma industry is more trusted with big data than tech brands such as Apple and Google, suggesting that pharma’s reputational issues may be generational rather than endemic. Jordan is excited about the future of pharma comms. The advent of artificial intelligence and personalised healthcare, in which new drugs are tailored to the genetic profile of the patient with greater efficacy, represents a brave new world, and it will take comms to explain it. "How do we engage the public, through the various teams, to want that, to understand it, but also ask for it?" he asks. But there are potential threats on the horizon, too – not least Brexit, which Jordan says will have implications for how Roche operates in the UK, but also the continued focus on austerity in public-sector budgets, including the NHS. "When budgets are challenged, medicines are the first thing healthcare looks at to cut spend, and it's not always the best idea." Jordan thinks the top-line figure for drug spend in the NHS masks areas where budgets are not spent as well as they could be, because patients given a cheaper but less-effective drug may end up being rushed to A&E or spend more time in hospital, with all the extra costs associated with that. "You might be better off using a slightly more expensive drug but with fewer side-effects," he says. "That story for us is really difficult, because drugs are more expensive, but the NHS struggles to capture that data clearly." Jordan grew up in Wallsend, near Newcastle, part of a working class family in which he and his two siblings were the first to take A-levels, let alone enter higher education. His mother worked in the hospitality trade, running bingo halls and nightclubs, while his father, who left school at 14 with no qualifications, was variously a butcher, greengrocer and milkman, before going to college and learning to be a television engineer. Despite "playing hard and doing a little academically" at school, biology piqued Jordan's interest and his parents encouraged him to go on to study microbiology at university. His first job was in a laboratory for a Regional Water Authority, testing water and sewage – "A glamorous life," he notes wryly. His career in pharma began with a sales rep job for UCB, then relatively unknown in the UK. He stayed for nearly 14 years, rising to run the national sales team. After running his own companies, which specialised in business development and change-management across multiple sectors, including public health and pharma, he gravitated to Roche. One wonders about the comms challenge of working in such a complex world and then trying to explain it to your family. Do they understand what Jordan does for a living? He laughs and says: "My wife works in the industry, which makes dinner-time conversation really thrilling – 'Let me tell you about my market access challenge…'"